Always calculate the shipping and other costs. Different websites have different rules for listing, so take time to get acquainted with these selling sites first before getting into the process. The process is simple, download their app, take good photos of the items, share the photos in the network and start selling your clothes. They offer pre-labeled and pre-addressed postage boxes for postage or pick up. Once your item gets delivered, you will be paid. This is an excellent way to sell your luxury clothes and make a good chunk of money on the side. The accolades for your fashion sense is a bonus! Many of us have unused CDs, DVDs, games, etc. lying around. Maybe you have an outdated phone or even Lego. Well, in this case, you can use Decluttr to sell all those electronic stuff. They have a quite an easy process; you need to scan the item you want to sell, you can do this just by manually entering the barcode or scanning through their app. Once you know the price and finish your order, you need to pack the items in a box with free labels provided by Decluttr and drop the box in the UPS office. They have a 5-star rating on the Trustpilot and accredited by BBB. Another plus with this website is, there are no listing or auction fees. Are you a student with a truckload of books which you might not use? I have a simple solution for you to make money from them. With this website, you can sell your old books for a great price. To get started, just scan or manually enter the ISBN of your book and check the vendors interested in buying the book. You can always compare the prices to get the best price. Once you accept the price, you need to ship the book. The shipping is paid by the vendor mostly. You get paid after the vendor receives the shipment. It is important that the books are in good condition and packed in the right way to avoid returns. The payment is made through PayPal or check. What do you do with stuff which you don’t use much but want to make money from? Rent it, of course. And the easiest way to do it is through Fat Llama. This new and very authentic website let’s you rent anything right from a boat to toys. Their lending process is super simple, just take photos of the items you want to lend and list them on the website. After you get verified, if someone is interested in borrowing your stuff, you set the date, availability and pickup location. You can easily communicate with the borrowers through Fat Llama’s messaging service. They also cover items up to 30,000, so no need to worry about the safety of your stuff. This could be a good way to make money from the stuff you don’t use much. This app is quite similar to Craigslist and works in the same way. Letgo lets you sell anything from clothes to dishwashers. This app is more useful to find buyers in the local markets, and the process is very simple. Just take a shot of your item and upload it in your profile. From there you can connect with potential buyers and start your selling process. The biggest advantage of Letgo is, it is available in many countries. A better alternative to Craigslist to sell things locally! This app is very much like Letgo and lets you sell anything and everything online. Again with this app, the selling is quite simple, you download the app, take the shots of the items you are planning to sell and indicate the pricing. Once the potential buyer comes in contact, you can start the selling process. This app is more focused on the local market and lets you find a buyer from your area which is helpful in getting more offers. The money is paid mostly through cash, sometimes through credit cards. This is a very good alternative to Craigslist. Another online selling app that can help you to earn money by selling your unwanted stuff. With this app, you can list many items just by taking photos with your phone and listing them on your profile. When an interested buyer connects with you, you can start the selling process. This app has quite an excellent rating on Google play and has been downloaded 5 million times, which shows the popularity of this selling platform. The only thing you need to keep in mind with Mercari is, they have 10% fees for all the transactions. The money is paid through direct deposit into your bank, and this is another reason this app is more favored for selling online. Selling unwanted books is something we can all do, as we have many of them cluttered in our homes. Apart from BookScouter, another easy way to sell books online is through Cash4Books. The process to start is very similar to BookScouter. After scanning the ISBN on the books to see the price and if they are buying it, you can ship the books to them with free labels through US Post or FedEx. Always keep in mind to send over books in good condition. You get paid within 13 days after you mail the books. The payment is through PayPal or cash. If you have piles of kids clothes, branded items of clothing, bags, etc. which you want to get rid of, then thredUP can help you. With thredUP, you can sell clothes in good condition (they have some strict brand requirements) online without much hassle. The best part about this platform is, you don’t need to do much work to sell these items. Just order a thredUP bag and fill it with your clothes and stuff and send it to them. If the items are in good condition, they will be processed, and you will be paid. The payment is through PayPal, and they pay you upfront if the worth of your clothing is below $60, if it is above that, then they get listed on the website for selling. This is another selling platform for your used clothes. 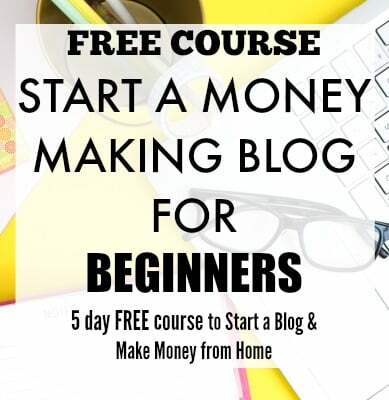 Time to free up your closet and make some money. Earning cash with Tradesy is pretty straightforward. You need to create a profile, take photos of the clothing you want to sell and list them online. Please keep in mind that Tradesy focuses mostly on big brands items and they take a cut of 19.8% commission for the items sold for more than $50. They provide you with shipping labels and kits, and you can set your own price for the items. They also offer to handle the returns, so it is quite hassle-free. Do you have an unused gift cards? Then sell it online at Cardpool and earn extra cash. There might be instances when we don’t need gift cards but just cash, this is where Cardpool can help you to do the swapping. You can go to the website, input your card retailer name and the amount on the card, which will show how much can get paid for the card. If you do accept to sell it, then you will be paid through check. Don’t have any stuff to sell online? No problem! If you love to shop flea markets and find super cheap things, then you can sell them online through Amazon FBA. 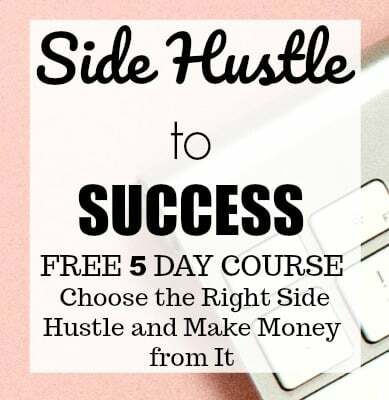 This is a very profitable side hustle that can give you a good six-figure income like Jessica. The best part about selling through Amazon FBA is, it handles the sales, shipping and more importantly the customer support. If you are interested in selling stuff online, then I suggest you read this interview with a Amazon superseller who earned over $100,000 in her first year with Amazon FBA. Do you have unused or new makeup stocked up? Use it to make some extra cash instantly. With Glambot, you can earn money for your makeup products and makeup tools. They send you shipping labels for the items you want to sell, once you ship the items you receive the offer for the shipping and if you accept the offer you get paid. They are quite strict with the brands and condition of the items for selling, so do read their selling instructions before you start. We all have some unused junk buried in our closets or tucked up in the attic. Whether it is an old, already read book or new hardly used jacket, these things just take up space in your home. Instead of just cluttering your space, you can make money online selling these items and earn some extra money. If you are looking for more easier way to make money passively read our Swagbucks review. There are indeed many sites like Craigslist which let you earn extra money from home. Just go through your stuff and start listing!